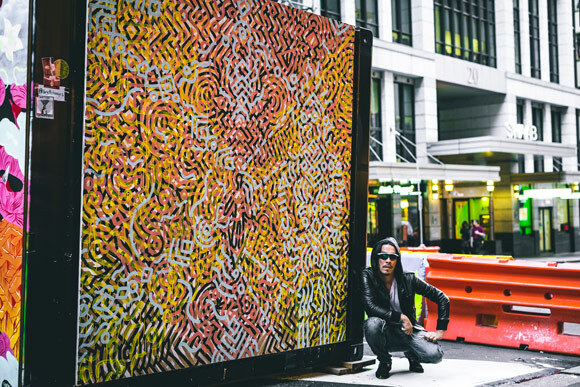 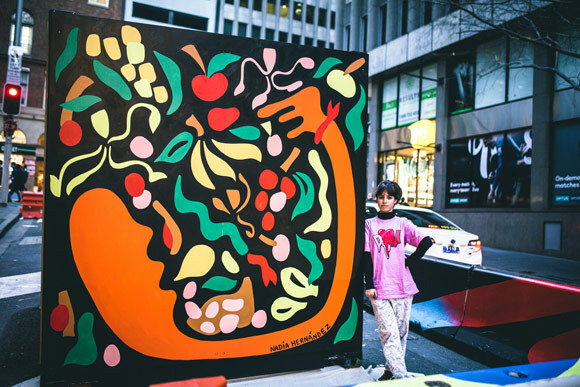 An urban art intervention on Hunter Street in Sydney’s CBD featuring eight Australian artists. 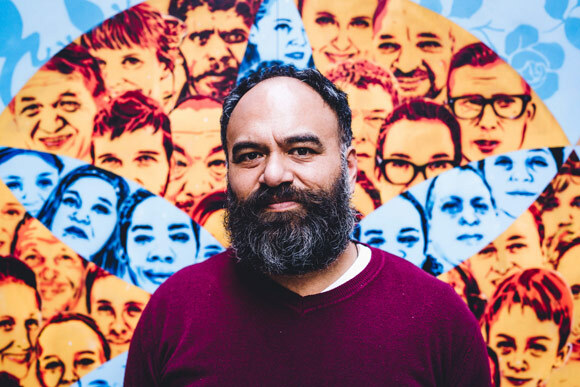 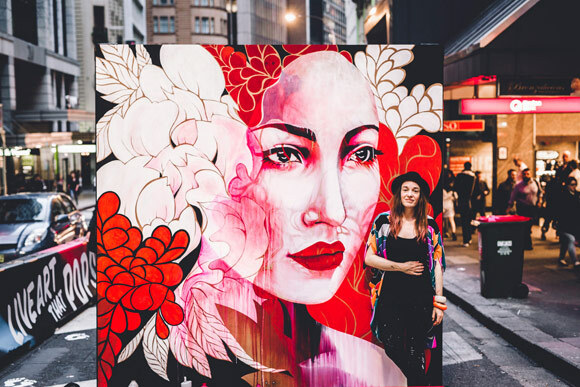 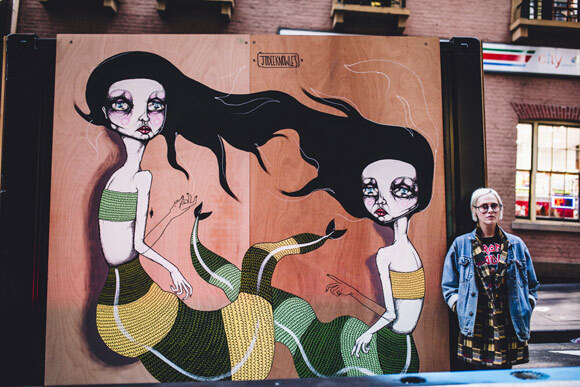 aMBUSH Gallery in collaboration with Transport for NSW launched a series of live art events on Hunter Street in Sydney’s CBD featuring eight Australian artists across a two-week live program and a week-long public art exhibition. 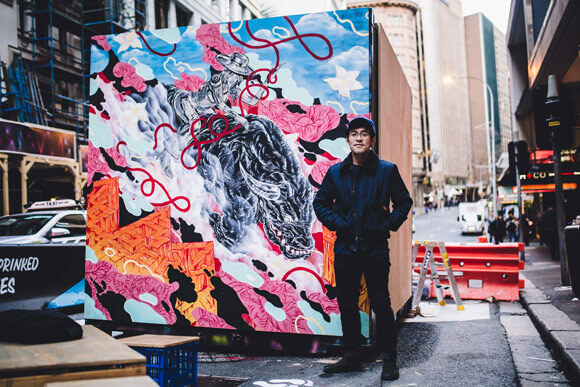 Featured artists included Jodee Knowles, Nadia Hernandez, Shannon Crees, Chris Yee, Brett Chan, Regan Tamanui, Sprinkles and Aquaman. 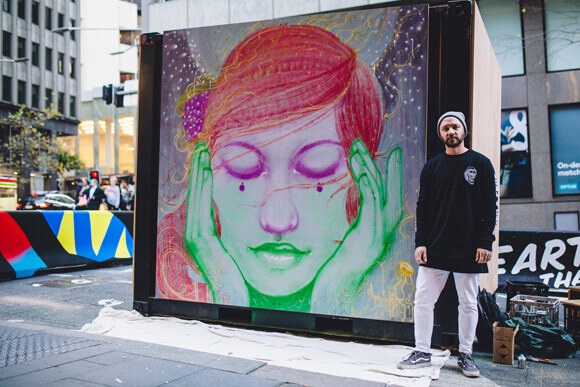 The finished artworks will be gifted to a charity at the end of the project. 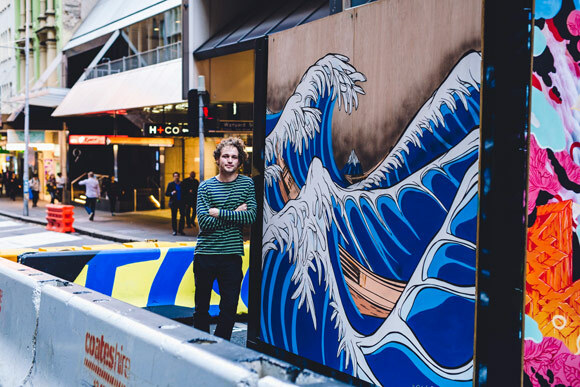 See the recap video link below for more on this creative placemaking activation curated and produced by aMBUSH Gallery – an initiative of Wiltshire + Dimas.